4 Bedrooms 3 Baths with a private backyard! 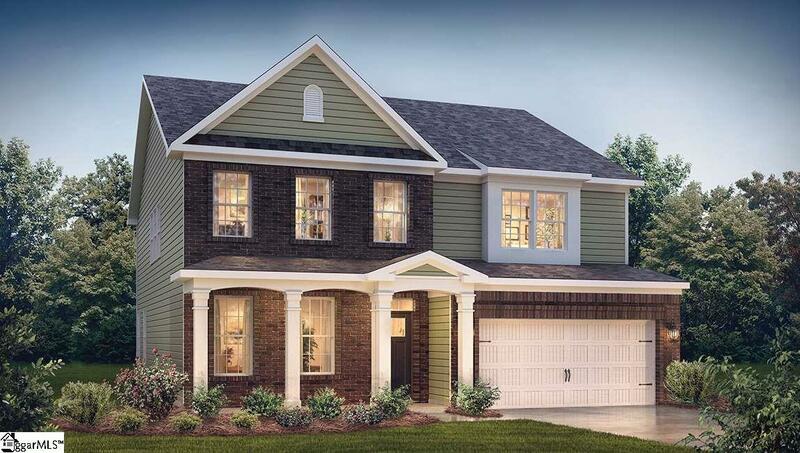 Now Selling, Myers Park, in Award Winning Spartanburg County School District 5! This Incredible Swim Community is tucked away but yet so convenient to Greenville and Spartanburg. Myers Park is just minutes to I-85, Hwy 101, Hwy 290 and Tyger River Park. What more could you ask for? Easy access to Premier Dining, Shopping and Entertainment! Love where you Live! THE HAMPSHIRE! What a great home featuring 4 bedrooms, 3 Full baths including 1 Bedroom and 1 Full Bath on the main. The Chefs Kitchen is complete with Granite Countertops, Large Island, Recessed Lighting and Stainless Steel appliances including GAS Range, Dishwasher and Microwave. The Kitchen is open to a large Family Room with Fireplace and a wall of windows with an abundance of natural light. Upstairs you will enter through double doors into the Owner&apos;s Suite with Trey Ceiling plus an Owner&apos;s suite sitting room. The Owner&apos;s Bath has an oversized Tile Shower and separate Soaking Tub. Wow there is an amazing owners suite closet. Come see this beautiful home! Prices and Options are subject to change without notice! Completion April 2019! Visit Myers Park today !